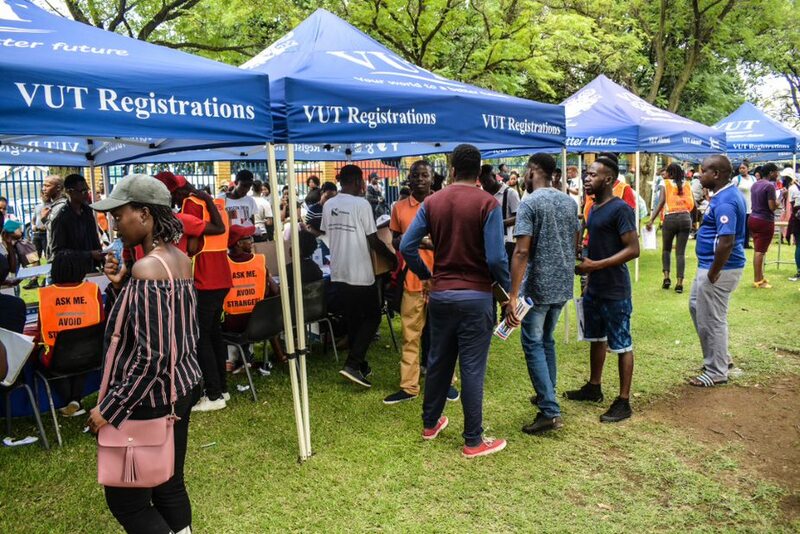 The Vaal University of Technology opened first-year registration on Tuesday, 8 January 2019. Registration has been going well so far with the new intake of students receiving a quality service. VUT allowed walk-in students and considered them as late applicants who will also be registered on a first- come, first-served basis. 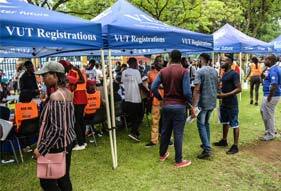 One of the new students, Surprise Khosa from Giyani (Limpopo) said that he is excited to be part of the VUT family: “VUT has been my favourite university ever since I knew about it. During my childhood my brother (Nkuteko Victor Khosa) inspired me to study at VUT, he completed his NDip: Electrical Engineering at Secunda Campus. Today I am proud to say that I am a registered Mechanical Engineering student who’s dedicated to hard work,” he said. VUT welcomes all prospective students as this is “Your world to a better future”.